It has became clear that mobile has to be apart of every marketing strategy. Domino’s has been one of the most cutting edge in their industry in terms of including options for mobile device users to be able to order from their locations. Whether by text, app, tweet or call they have you covered. We recently have had the privilege in working with the progressive brand for some franchised locations. The strategy includes another mobile friendly industry being the hospitality industry. Hotels have began to offer everything from app check-in to turning your phone into mobile keys to unlock your room, so they understand as well mobile is a great way to engage customers. The pizza industry has been serving customers of the hotel industry for years and with the mobile device marketing strategies to win that business have become focus. This case study shows that by Geofencing hotels pizza companies can run special localized offers to the travels who are in need of a good slice of pie. 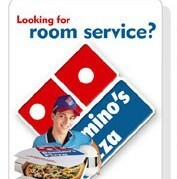 In the highly competitive industry of pizza delivery, Domino’s is trying to reach hotel guests on their mobile device and link to multiple ordering options for easy purchase. Thumbvista has placed geofences to triggered mobile advertising on popular apps and mobile sites around many area hotels through out south Florida. Geofencing the hotels has given the ability to run different ads through out the campaign some being just for that particular audience. From an ad click the mobile user goes to a special landing page with multiple options for ordering and app download and finding the nearest location. The key take away in this campaign is to really utilize the audience that is geofenced and give them something special. With multiple marketing campaigns running having something unique for this unique mobile marketing method will be most effective.